Ritani presents a sparkling example of a classic engagement mounting in this 14kt white gold piece. 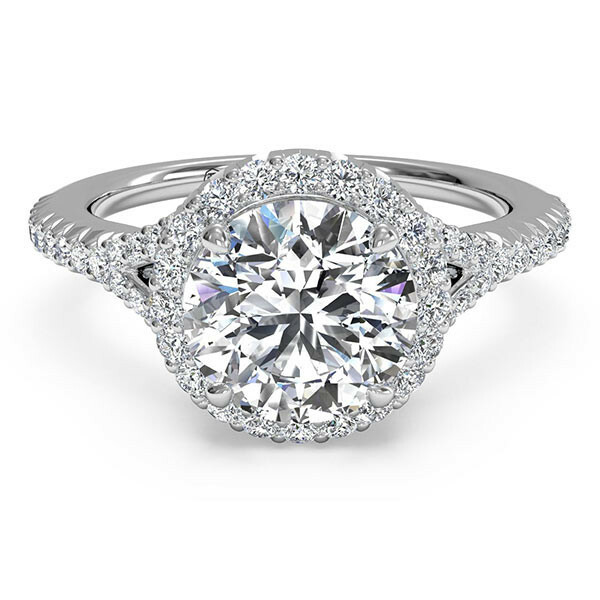 French-set diamonds on the split shank band and halo that will surround your round center stone sparkle and shine. The setting is also available in your choice of 18kt white gold, yellow gold or rose gold, as well as platinum precious metal. This engagement mounting from Ritani is where your happily-ever-after begins.